Can you believe that Christmas is almost here? O.K. O.K. I know. It's still months and months away. But trust me. It will be here before you know it. Which brings me to today's blog. 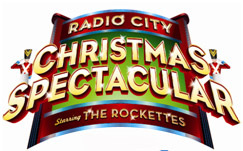 This year's edition of the Radio City Christmas Spectacular is now on sale. Not only that, but we are selling it. The show, which is in it's eighty-fourth year, is one show you do not want to miss this holiday season. So when is it playing? Luckily for you, the complete schedule is now available. Get your tickets to see the Radio City Christmas Spectacular at the historic Radio City Music Hall. Until next time theatre fans.